Getting the right fit in your upper arms can sometimes be tricky. 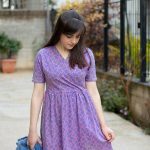 Especially if you are more muscular or have chubbier upper arms, you will find that on some patterns the sleeves fit very snugly and the bicep seams are straining, resulting in an uncomfortable garment. Thankfully, there is an easy adjustment you can make for that, know as a Full Bicep Adjustment or Full Arm Adjustment. With the Full Bicep Adjustment, you can add width to your sleeve. But, how will you know beforehand if a sleeve will be tight and more importantly how can you determine how much width you will need to add? Those are two good questions. 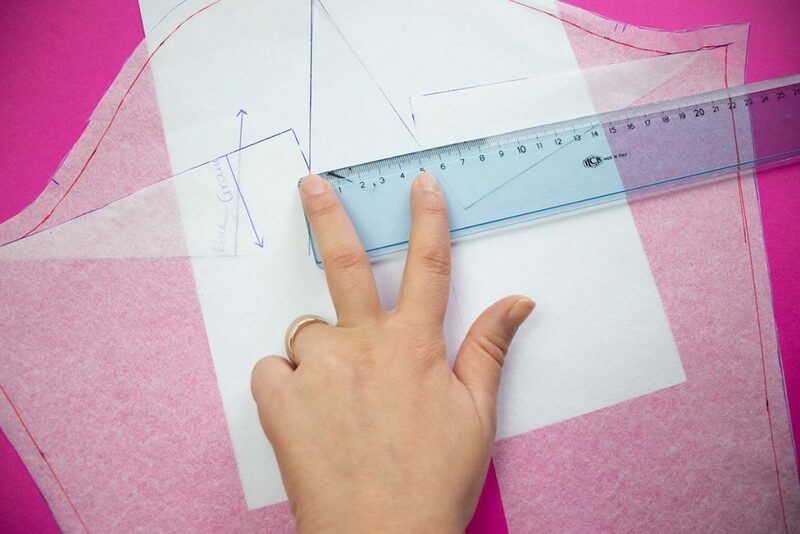 Write down this measurement and then measure the widest part of the upper sleeve on your pattern piece. 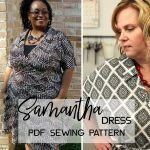 Don’t forget that you will have to subtract the seam allowance if it’s included in your pattern piece. In my example, I have drawn the seam allowance in red on my Sheona dress sleeve. The bicep line you are looking to measure is pretty much in line with the top edge of the pattern, where it hits the underam seam. That is the widest part of the upper sleeve. Compare those two measurements to determine how much width you will need to add to your sleeve. 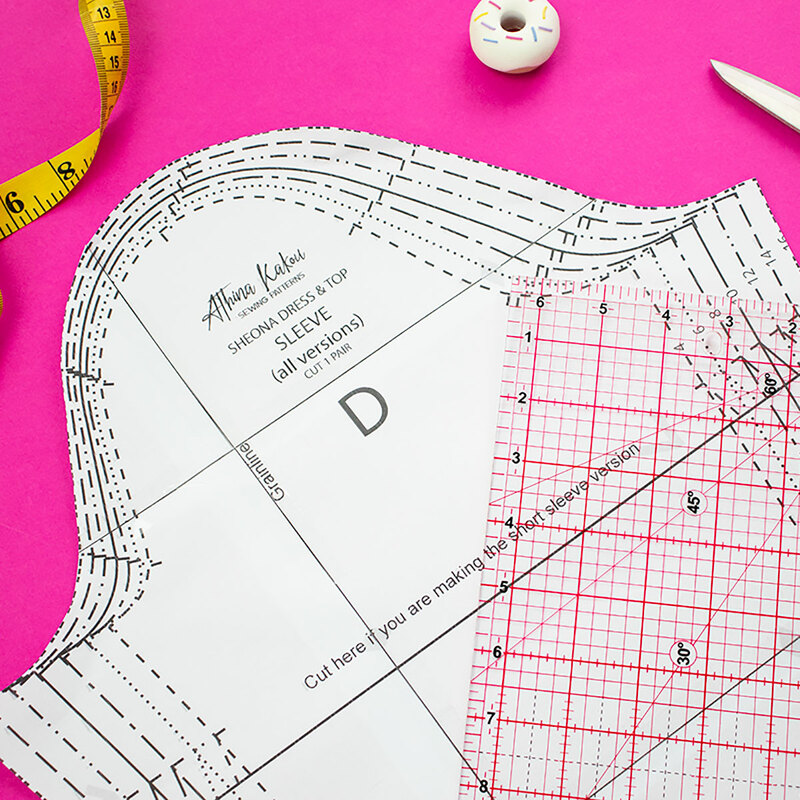 Now that you have your magic number for this adjustment, it’s time to trace your sleeve pattern piece. Don’t forget to transfer all the markings, such as the grainline and the notches. Then, if your pattern includes seam allowance, measure it all around your pattern piece and draw the stitching line (marked with red in the photos below). Also, draw the hem allowance, if that’s included in your pattern piece. Don’t get confused by the photo below, I drew my seam allowance on a sleeve copy I had already printed out of the PDF pattern and then decided to actually trace the entire piece on a white paper so you could see the lines more easily. For this adjustment, we will be adding some extra room to the center of our sleeve. On your pattern piece, draw a horizontal line at the widest part of the upper sleeve (the bicep line I explained above, starting from one corner of the underarm seam to the other). Next, draw a vertical line right at the center of your sleeve. 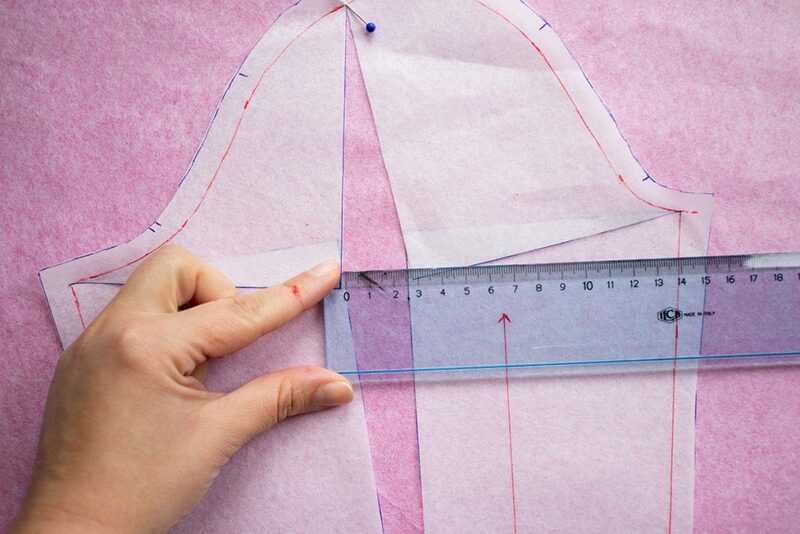 To find that center, measure the bicep line you just drew, excluding the seam allowance, and divide it by two. This middle point is the center of your sleeve. The central line should go all the way from the sleeve head down to the hem and be parallel to the grainline. Now, we are going to slash and spread out pattern piece. With a pair of scissors, cut along the two lines you just drew, being careful to stop a few milimetres before the stitching line. You will need to leave hinges, to be able to spread the pieces more easily. 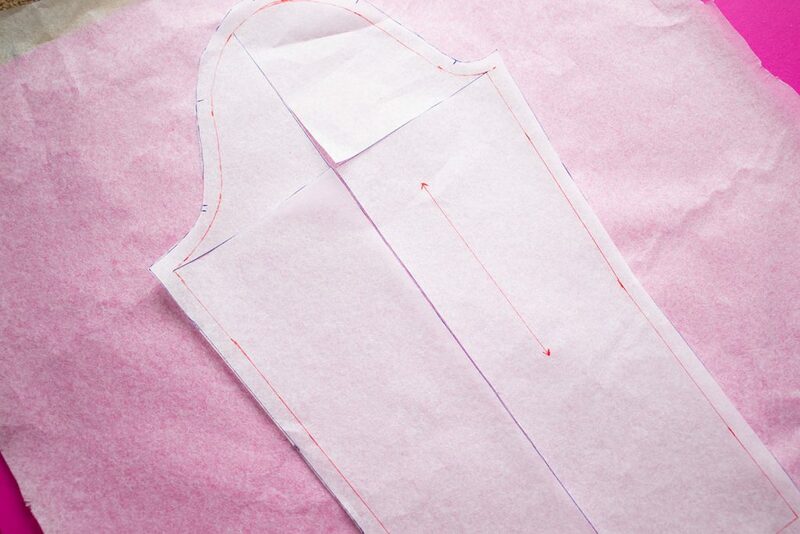 It’s helpful to start in the middle of your pattern piece and cut towards the edges. 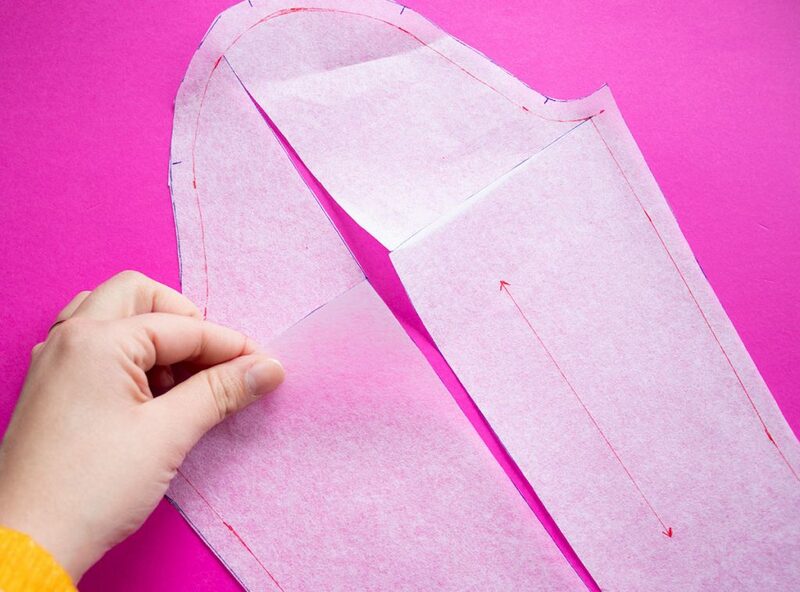 Once you cut out along those lines, position an extra piece of paper underneath your pattern piece. Then, anchor down either the top or the bottom edge of your pattern piece and slowly spread apart the upperarm edges until the gap in the middle is as wide as the amount of ease you need to add to the sleeve. In my case, it was 2,5 cm (1″). Don’t worry that your top pattern pieces are going to overlap the bottom ones. Check one more time that the middle gap measures correctly and then tape down those overlapping pieces, catching the extra paper underneath. With this minor adjustment (addition of 2,5cm / 1 ” or less), the sleeve cap should not be affected. 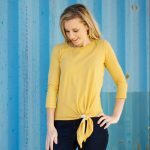 You may have to draw a new line on the top of the sleeve head, just to smooth it out a little and also smooth the hem line and sides. Then you can go ahead and use this new pattern piece or retrace it on a fresh piece of paper. 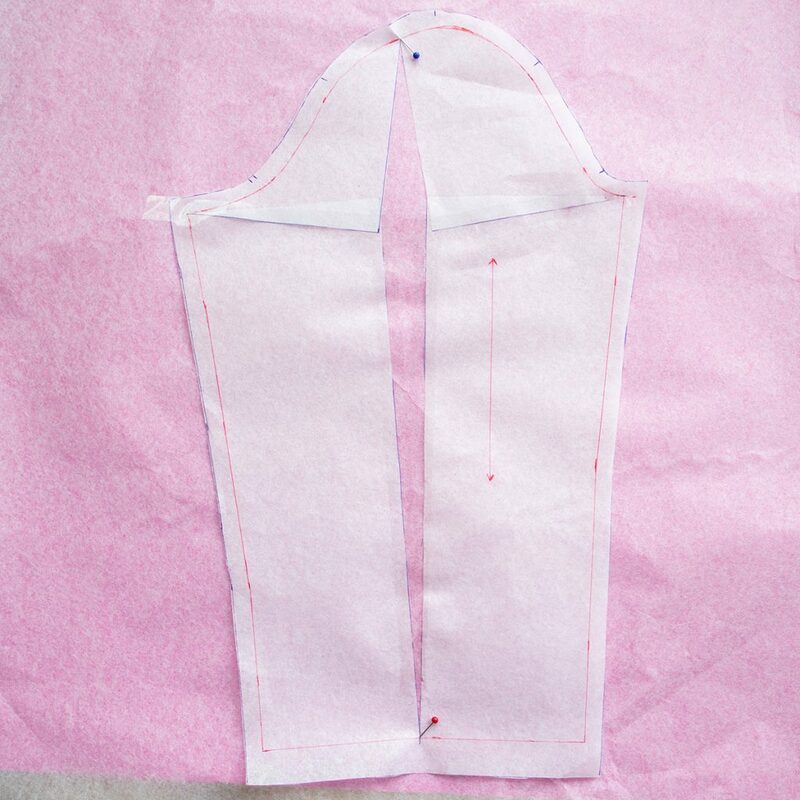 It is always best to make a test garment first to check the fit of this adjusted piece, before you make your final garment. 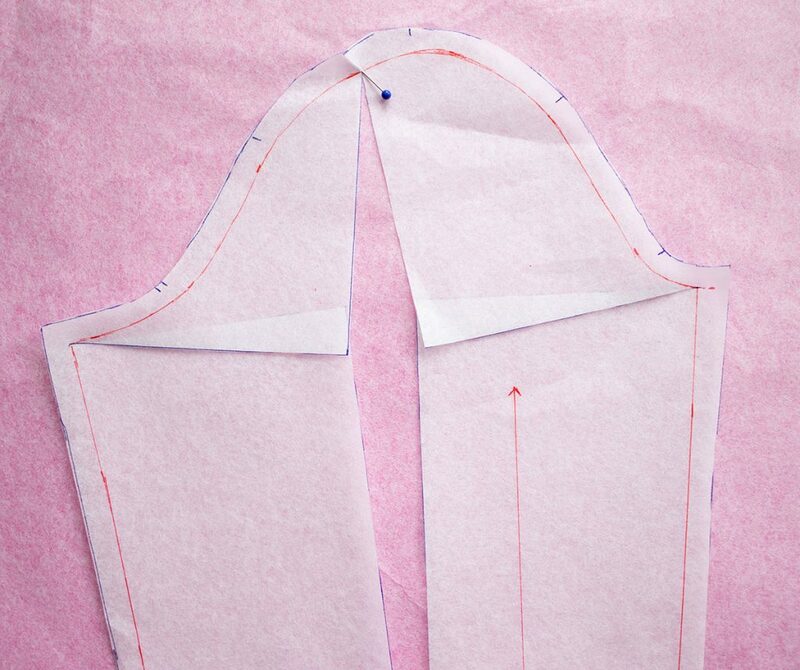 If you need to add more than 2,5cm (1″) of ease to your pattern piece, things are slightly different. This modification is slightly more complicated. Because the top pieces have to overlap much more, that affects the shape of the sleeve cap. As you will see in the photo below, the shape of the sleeve cap has changed, it is now more flat. 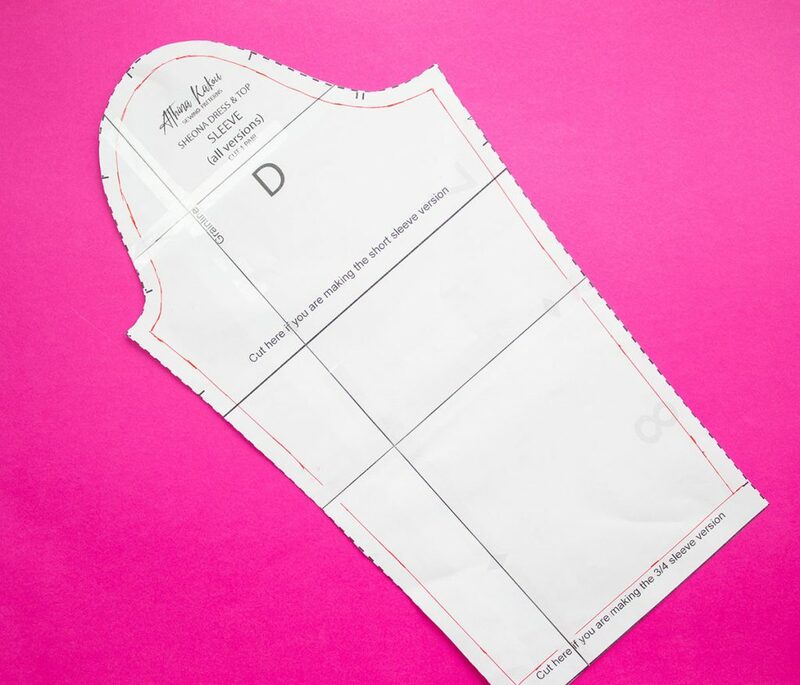 To amend this and make sure that the new sleeve will still fit into the armhole of your garment you will have to redraw the sleeve cap and then make the necessary changes to the front and back bodice of your garment. As this is a bit tricky to explain in photos, I will direct you to a fantastic video by Aneka of Made To Sew. She is an amazing teacher and I think her video example will be much easier to understand than a blog post. Hi Athina, I almost always need a full bicep adjustment so thank you for this explanation and the video link! What I always find difficult though is to know the intended ease of the sleeves. I have never seen that in a pattern description. 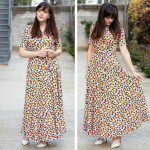 I recently got your Sheona pattern and I’m planning to make it very soon. What is the intended ease in the sleeve for that pattern? For the Sheona, as it is a pattern intended for knit fabrics, the intended ease on the upper arm is around 1″ (2,5 cm). 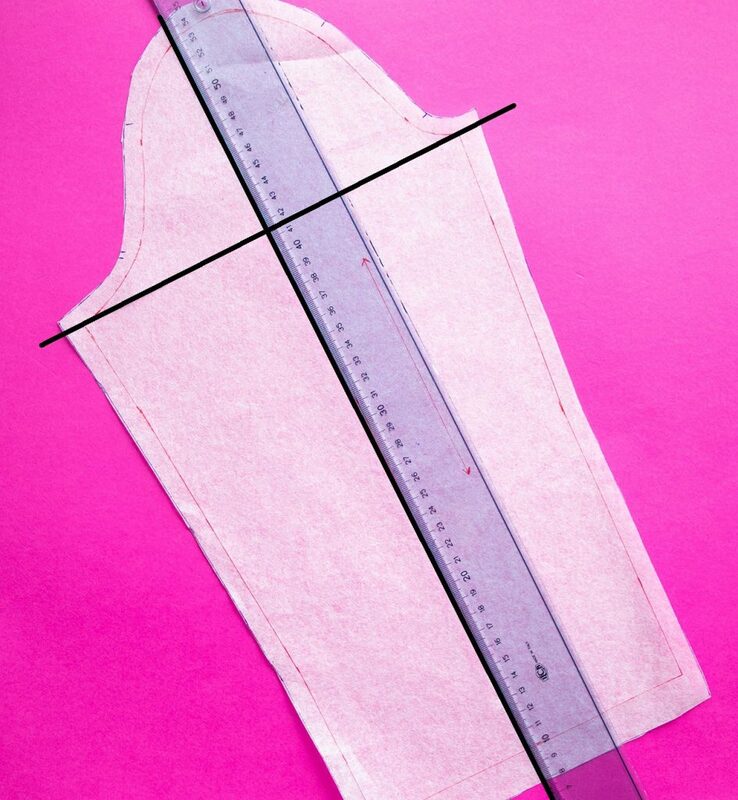 You can use the method above to 1. measure your upper arm and 2. then measure the bicep area on the pattern (the widest part of the upper sleeve on your pattern piece, after you subtract the seam allowance). If the difference between those measurements is around 1″ -1,5″ I’d say you are good to go. Don’t forget that ease often comes down to personal preference and some people prefer to wear looser-fitting garments. So you may wish to add more than 1″ in the end. I addition, fabric plays a role in that, as stretchier fabrics will feel more comfortable and hence you may need less ease in the pattern. 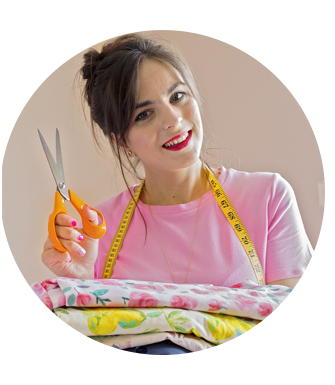 You can try the adjustment and make a test garment first to see how it works for you. Hi Athina!I discovered you when you still had only Craftholic!I still have those two beautiful red capes foe my girls that I got from you and we always get compliments for them! Your new blog is amazing! I would live to sew for a hobby so will try to follow your directions,enem though my English is not that good good luck with all your new plans!